The Parts of Our Sum! FINANCIAL OVERVIEW Open Hearts, Open Books! We face a lot of challenges at Outreach. The issues we tackle are some of the biggest on the planet; by virtue of their persistence throughout history, if they were easy to solve, humanity would have done so long ago. Many might be overwhelmed by the magnitude of our mission. Fear. Worry. Selfdoubt. These emotions could easily crowd our minds and make our potential for good into a curse instead of a promise. So why are the pages of our 2018 Annual Report filled with so much joy? • We are about to celebrate four decades of hard work and extraordinary stories from the place where our work began – the Philippines. You’ll see lots of pictures of this beautiful country in this publication. • In the last three years, we have doubled the number of field program locations in which we work. Please look at our Mission Expenditures graph on Page 9. • We continue to earn top honors from independent evaluation agencies as one of the best-performing international charities in the world, as well as persisting in our No. 1 ranking in a host of Internet search results. You’ll see those referenced in these pages as well. • Perhaps the most reliable source of joy at Outreach can be found in the people who surround us every single day: our donors, who are twice as faithful in their giving as those who give to other charities; our HQ staff, who bless so many with their intelligence, work ethic and kindness; our international staff, whose dedication inspires the world; and our community partners working to free themselves from chronic poverty, whose spirit of generosity, persistence, creativity and grace is as awe-inspiring as it is humbling. outreach-international.org outreachshop.org info@outreachmail.org All photographs and text copyright ©2019 by Outreach International. All rights reserved. 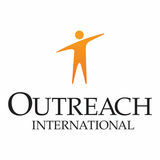 Outreach International is a 501(c)(3) regulated charity. OUR MISSION Outreach International empowers communities worldwide to address the issues they face through authentic participation, collective action and sustainable development. From our methodology to our practice, we listen, learn and refine our approach to ensure that every step we take, we take together. Our practical, principled approach to community-driven development values the dignity and capacity of all individuals. When engaged, inspired partners share their knowledge, skills and experience, their personal bonds forge the foundation of projects with perpetual benefits. We facilitate confidence, dignity and self-reliance, and equip communities with experience and insights that help make today hopeful, tomorrow grateful, and the future peaceful for all. Families in three Outreachaffiliated communities completed construction on 62 greenhouses in 2018, with immediate benefits for 342 partners, thanks to increased nutritional diversity and a new stream of household income. Next up for the gardeners: ongoing workshops on best practices for planting, pest control and nutritional tips. More than 6,500 people in Outreachaffiliated communities have been positively affected during our first year of facilitation there. Crops are heartier thanks to restored irrigation systems, road repairs have made travel safer and simpler, and more reliable transportation options now ensure kids make it to school and back each day. Each night, families in homes made more comfortable through simple repairs and maintenance gather around the table to enjoy a wider variety of foods, grown in newly planted household gardens. An auspicious beginning! Eighteen women from the Lwamishamba community have harnessed the power of “Superflour,” a hyper-nutritious, cost-effective dish made from simple, affordable ingredients, to establish and maintain a local feeding program for 92 children. With seed money from Outreach, they will soon begin selling budget-friendly packages of Superflour to families to continue improving the health of local children without burdening their parents with extra expenses. Since welcoming the first round of students to the newly constructed school in Petionville in 2018, partners have been busy filling it with more than just new ideas. Besides new desks and chairs in classrooms, the brand-new kitchen’s stocked shelves benefit teachers and students alike with a daily school lunch program. What do you get when 11 hens incubate 72 guinea fowl eggs? For 116 community members, it’s the start of a new era of better nutrition, higher incomes and greater school attendance. Besides consuming fewer resources than chickens, guinea fowl produce far more eggs to be enjoyed at mealtimes, shared with visitors and sold at market to help parents pay their children’s school fees. Hatching is on schedule to begin this spring. After years of contending with the negative health effects of a contaminated water supply, partners from Lamidanda and Kaphaldanda made a plan to permanently improve its reliability and safety. Combining their own investments with matching funds from their local government, they redesigned their water system from the top down, using environmentally friendly methods to maximize filtration and minimize the risk of contamination, benefitting 390 residents. To help 60 local farmers and their families during lean months between harvests, partners in the Culaylay community founded the “Grains of Smiles” rice-loan project. The low-interest, community-managed rice loans help keep families fed and financially secure all year. The community will invest the money earned back into new local health and nutritional programs, promoting wellness as well as giving partners experience in financial management. What’s more sustainable than recycling? Repurposing. Partners in Chamata, as part of their efforts to improve the health and hygiene of 201 households, discovered that constructing new latrines out of “ecobricks” was a perfect solution for a few different local issues. Rather than discarding plastic bottles and plastic bags as refuse, partners combined them with packed sand to use as cost-efficient, long-lasting building materials. The result: cleaner streets, improved sanitation and a proof-ofconcept demonstration to acquire further funding and resources from additional sources, starting in March 2019. The audited financial statements on this page comprise Outreach International’s financial position as of last fiscal year, October 2017 to September 2018. This graph represents the ever-expanding scope of our work alongside our community partners. With 100 PERCENT OF ALL DONATIONS directly supporting our work around the world, we are able to combine careful consideration with thoughtful ambition to extend our reach further with each passing year. A generous donor has covered the operational expenses at our headquarters — from supplies to employee salaries to space-related considerations such as utilities and maintenance. With these costs paid for at home, 100 percent of all donations to Outreach directly support the training, material needs and every other element of empowerment that goes into facilitating the sustainable solutions required to permanently eliminate the injustice of chronic poverty worldwide. 100% = 100%. It’s not a feel-good marketing strategy; it’s a feel-great component of our work that replaces fine print with a bold headline. Facilitators of Familiarity Shanti, a visiting staff member from Nepal, had something she wanted to share with everyone. Back home, her friends and family were celebrating the first day of the Tihar festival, a traditional Hindu holiday. So, that morning at Outreach HQ, visiting and local staff joined the party. A huge, world-spanning thanks to all members of HQ and international staff for their vision, effort and teamwork throughout the Summit (and in every other aspect of their work)! Practitioners of Partnership This spirit of connection permeated every moment of the Summit. Days later, visiting staff participated in a rapid-fire series of rotating “speed dates” with one another to quickly exchange insights about the strengths and challenges of every level of their work. We have made every attempt to ensure the accuracy of our donor listing, and sincerely regret any errors or omissions. Thanks to your trust and partnership, a lot has changed since Outreach was founded 40 years ago. Together, we have empowered thousands of people in communities around the world to permanently resolve the issues they face. 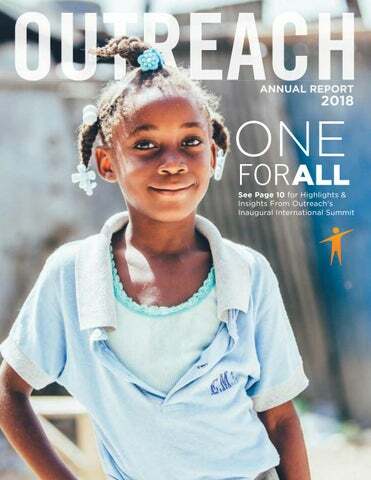 Just as Outreach provides a foundation for the future in communities around the world, the Legacy Circle provides Outreach with the certainty that the future we create together can continue to grow ever more generous, prosperous and optimistic. Naming Outreach as a beneficiary in your will or estate plan ensures the foundation for goodness you established in the world can continue to provide a sweet spot for new hope to take root, grow tall and blossom beautifully throughout all the seasons yet to come. For more information, contact Kevin Prine at k.prine@outreachmail.org. Together, we have empowered thousands of people in communities around the world to permanently resolve the issues they face. If you have included Outreach International in your will or estate plan and your name is not on the above list, or you are interested in becoming a Legacy Circle member, please contact Kevin Prine at k.prine@outreachmail.org or 816-833-0883, Ext. 305. We are honored to recognize our many Ambassadors, who have graciously supported Outreach International for a consecutive 15-24 years. For a complete listing, please go online to outreach-international.org/ donorwall. BUILDING EXCELLENCE Outreach is constantly evolving to best address the needs of our community partners and to ensure that our staff is equipped with the tools and space necessary to inspire, encourage and facilitate results that change lives for generations. As our work continues to transform communities through empowered participation, the transformation of the space we share brings us closer, sharpens our focus and deepens our resolve to end the injustice of chronic poverty. Though construction on our new headquarters is completed, the work within is just getting started. A special thanks to the donors and corporate partners who made this move possible. We remain as tenacious in our ambition as we are grateful for your support, every single day. Upstairs at Outreach HQ is where people work. Downstairs in our gallery space, however, is where folks get down to business. While HQ staff continues to fill our building with love and dedication throughout each workweek, thereâ&#x20AC;&#x2122;s ample space during non-work hours for you or your organization to fill it with celebration and merriment as part of your party, reception, conference or event. Interested in renting our first-floor gallery space? Call our office at 816.833.0883 or email Ellen, our Community Relations Manager, at e.goyer@outreachmail.org today! 350,400 Thatâ&#x20AC;&#x2122;s how many hours are in 40 years. During nearly every one of those hours since our founding in April 1979, Outreach staff has been at work somewhere in the world, empowering our community partners to lift themselves out of chronic poverty. These hours have been filled with laughter, hard work, setbacks, friendships, partnerships, love, effort, consideration and reflection. They contain the moments in which epiphanies, lessons and insights have become knowledge and understanding. We are truly honored to have had you at our side during every hour of the last 40 years. Your generosity, kindness and support have helped us make every second of every hour of every day matter. We canâ&#x20AC;&#x2122;t wait to find out how much more we can accomplish together in the years ahead. Thank you so much for being a force for good in the world. Keep an eye out for upcoming opportunities to help us celebrate all year long.